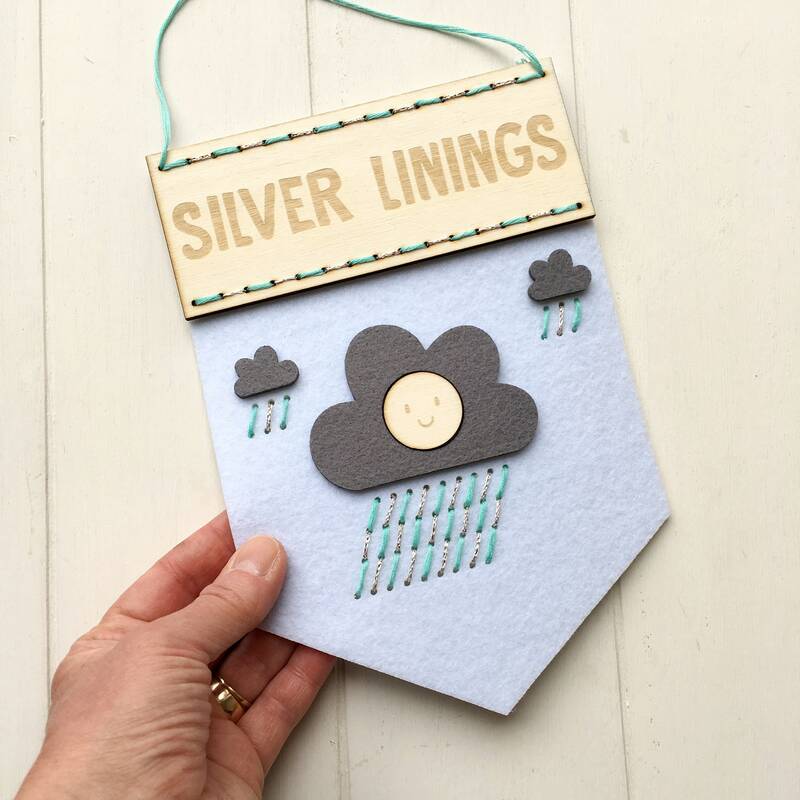 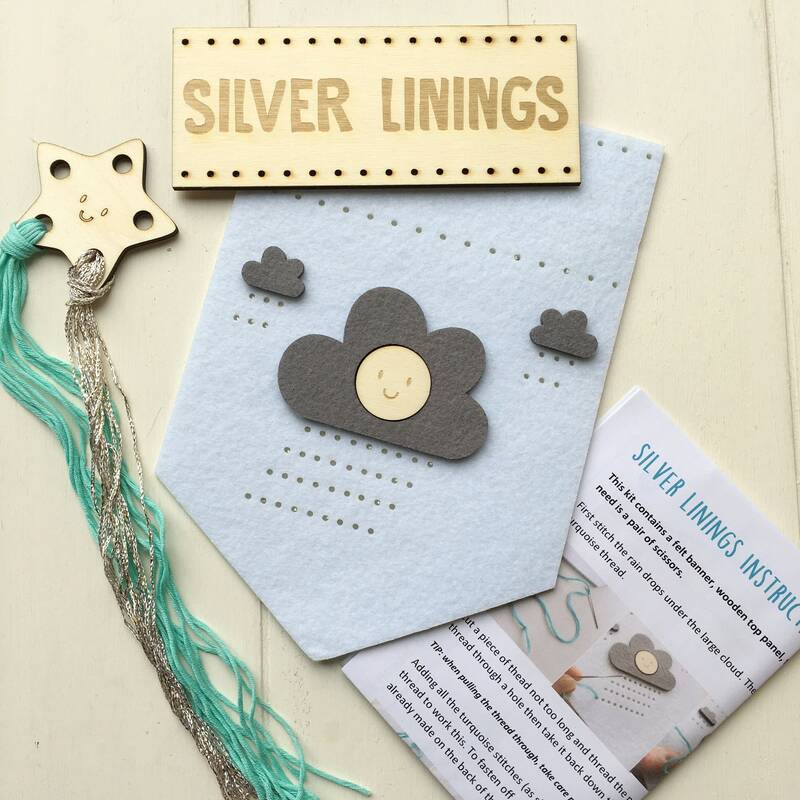 This Silver Linings banner embroidery kit is a colourful, fun project. 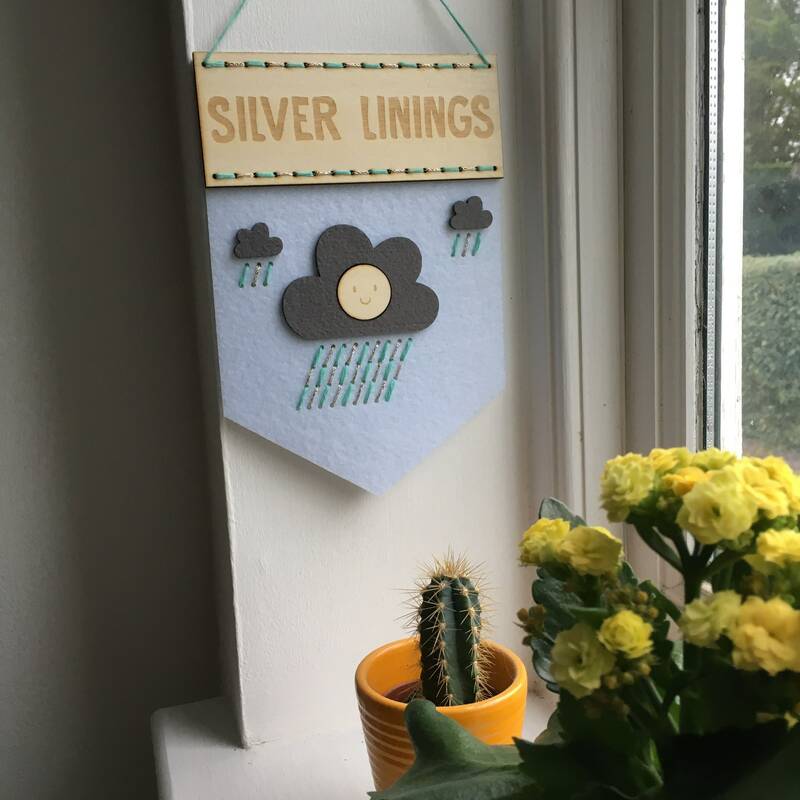 Included in the kit is a felt banner with pre-cut holes, a wooden engraved top panel, thread, needle, instructions and a colour chart. 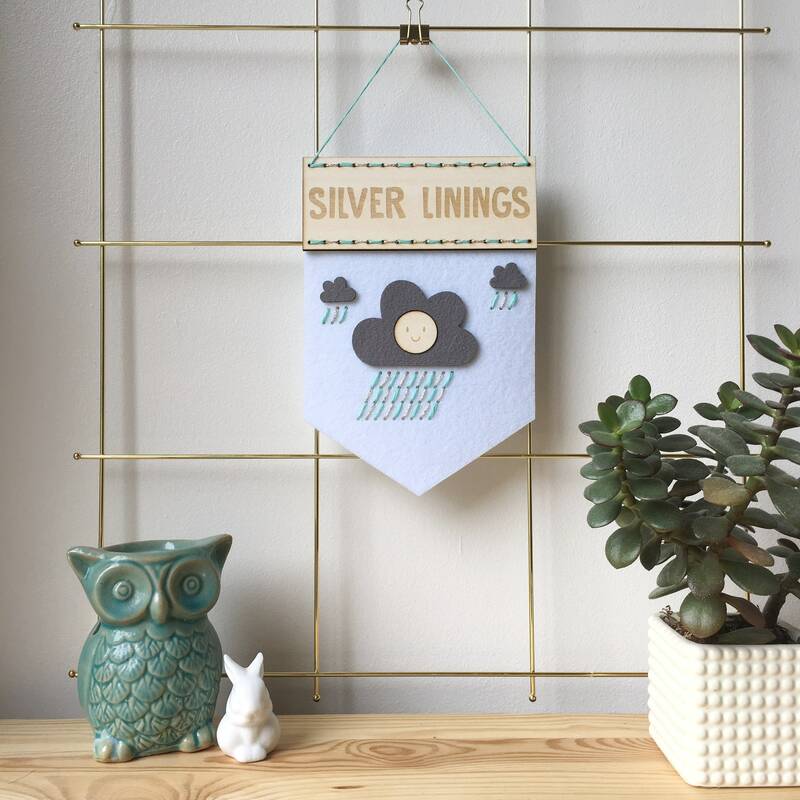 All you need to supply is a pair of scissors.